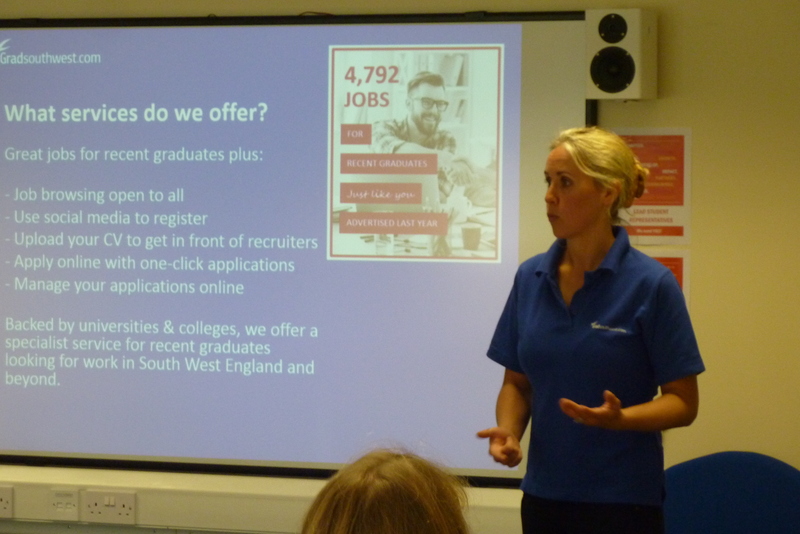 We enjoyed meeting students at Petroc this week to highlight graduate opportunities in the south west. Some great feedback with one participant commenting “the ladies are very passionate about helping grads from the south west”. We certainly are and we’re glad it shows! Here are three photos from the day and a bit about what we did. 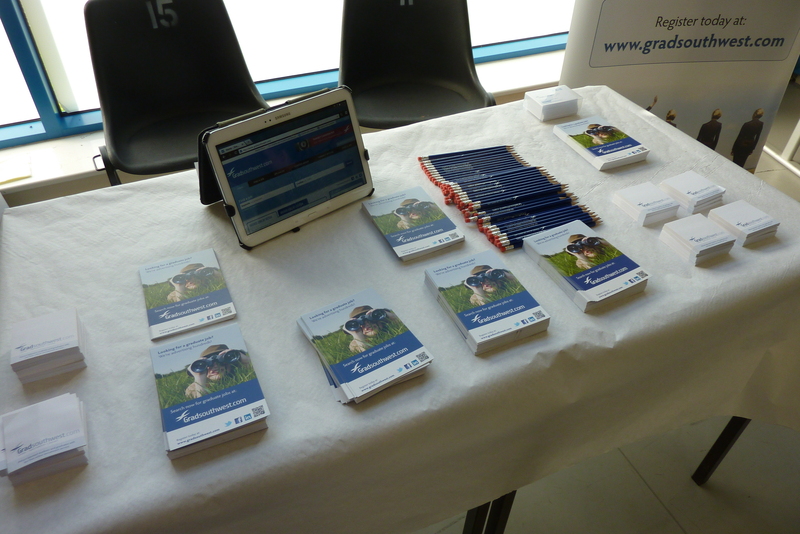 Our stand just before we opened – looking tidy and organised for a few minutes before a few hundred Petroc students joined us. We ran two workshops too. Here’s Fiona in full flow explaining the services Gradsouthwest offers! We discussed graduate resources; current top employment sectors in South West England; and career development tools. We got attendees working too… here one of them is doing our personal values and motivation exercise. And the last comment sums it up nicely – now go to http://www.gradsouthwest.com to look for graduate jobs in the South West!